The California resident had been deported in 2014, but on Sunday, he went on a personal reign of terror, robbing and killing anyone in his path. A man who’d been deported died Monday after going on a deadly shooting, carjacking and robbery rampage in California’s Central Valley. He was killed after a high-speed chase, during which he intentionally tried to smash into other cars, authorities reported. Gustavo Garcia was pronounced dead at the scene after a series of attacks on apparently random strangers. Boudreaux said he may have committed as many as a dozen crimes during a “rampage” that began Sunday afternoon. “We have one man that essentially (has) been on a personal reign of terror,” Boudreaux stated. “Garcia had a long criminal history that included arrests for drugs, assault with a deadly weapon, vandalism and contributing to the delinquency of a minor and he had been in trouble with immigration officials several times,” but no one admitted to his current immigration status. “The rampage began around 1 p.m. Sunday in Exeter when Garcia shot a farmworker who was picking fruit, police said. He was expected to recover. “Minutes later, Garcia robbed a convenience store. Surveillance video showed Garcia firing shots at the ceiling and demanding more than $2,000 in cash, the Fresno Bee reported. 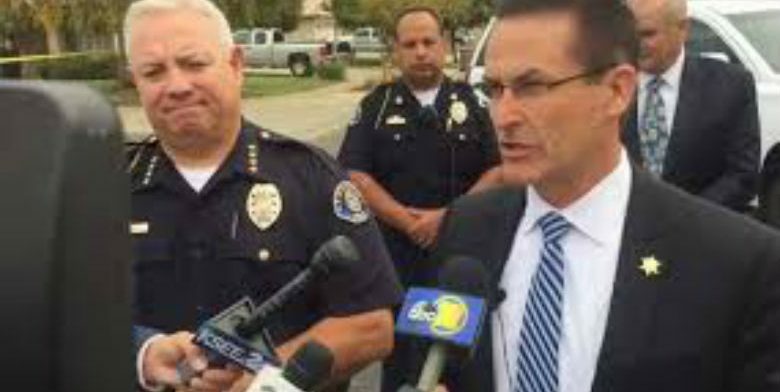 “She had made eye contact with the subject and he had followed her to her parking spot, where he got out of the car and for an unbeknownst reason began firing at her vehicle,” Tulare interim Police Chief Matt Machado said. After a series of shooting at his ex-girlfriend’s home and a random one, Garcia died after smashing into four cars, leaving one driver in critical condition and the other three with minor injuries, Goddard said. He “had no regard for human life,” Boudreaux said.